When I did my previous video on stress, I got an overwhelming response that for most of you, the workplace is your major source of stress. Now, it's normal to have stress in the workplace to a certain degree. But when this workplace stress becomes too great, it can actually decrease your productivity. It can decrease your success. I'm going to give you 7 strategies for managing stress in the workplace. You are going to have expectations and in addition to harming your physical health, workplace stress can roll over into your personal life, your home life, and it can affect your relationships. How Can you Manage Stress At Work? So, what can you do? One way to reduce stress was to remove the stressor. However, for most of us, we need to work to eat, so we can't just leave our jobs most of the time. So, what can we do? If you can't leave your job, you can't afford to let stress harm your health, then you'll need to find ways to reduce this job-related stress. 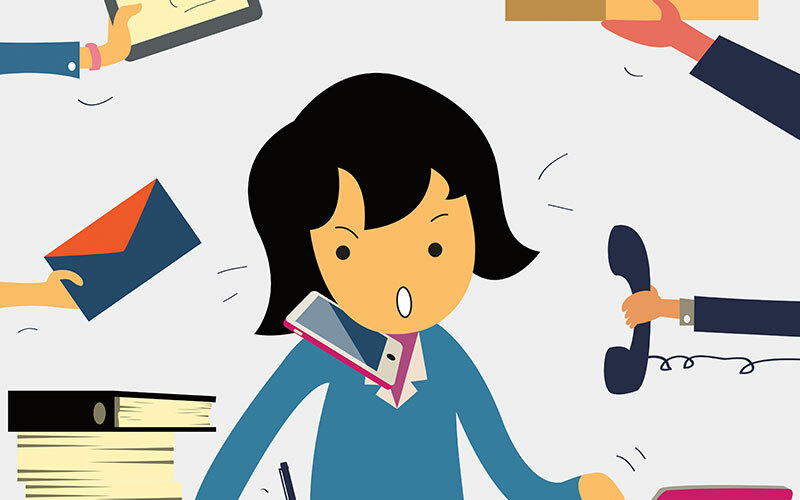 How Do You Know If You Are Being Affected By Workplace Stress? 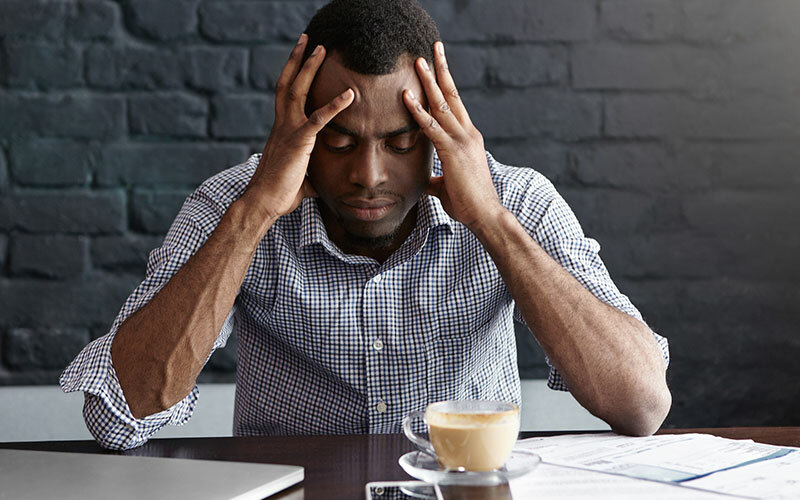 Numerous studies have shown that for the majority of American adults, they identify the workplace as the number one source of stress. How do you know if workplace stress is affecting you? Well, you may experience anxiety and depression while at work, or even when you think about work. You may also have difficulty sleeping or insomnia. You may have a constant fear of losing your job or a fear of not meeting your job's demands. And you may even have some of the physical signs and symptoms, such as fatigue, headache, hypertension, and chest pain. You may even be more prone to infections. 1. Organize Your Work Day. When you walk into work, I want you to start having a "things-to-do list". Yes, this seems simple, but it is still effective. On that "things-to-do list", I want you to prioritize, at least the top three or four things, that have to get done during the work day or the week. Also, you should give yourself deadlines. The things that don't have deadlines typically won't get done. So even if it's a distant deadline, give yourself a deadline. Also, a part of this organization means that you need to delegate. You're not going to be able to do absolutely everything on that "things-to-do list" by yourself. So if you are in a position where you can ask for help, do. Other people are not going to do things exactly the way that you want them done, but you have to release some of that control in order to decrease your stress. So, organize yourself, prioritize, and delegate. I'm a physician, so you know I'm going to put exercise in this. When you exercise, you release endorphins. You also get your mind off of stress. So even though you may have a busy work life, I want you to try to exercise most days of the week. And you can even get exercise in at work. How you may ask? Well, number one, instead of using the elevator, you can take the stairs. Get that cardiovascular activity going at work. Behind your desk, you can do things like squats, and you may be able to do some sit-ups. Do stretching. Meditation or yoga can also be your form of exercise in the workplace. It doesn't take a long time. Just give yourself a minute or two at intervals to do deep breathing, and to meditate, and to stretch. Doing these exercises can decrease your work stress. A lot of times when you're stressed out and that cortisol is surging, you want to eat high-fat foods, high-sugar foods. But if you eat these very high sugar foods, then that will cause your insulin to surge. You have this high energy from the sugar at first, but then your energy will crash, and you know that's no good for work productivity. So, try to avoid high-sugar snacks at work, and instead have complex carbohydrates and fiber. Take fruits, veggies, and fiber bars to work with you and make sure you keep them on you so you can snack frequently on healthy, nutritious foods. Also, foods that are high in omega-3s, like wild-caught salmon. These foods can help to decrease depression and help to stabilize your mood. So even when you are running around and you're short on time, try to plan and prepare nutritious foods at work and this can help to manage your work stress. 4. Sleep. Go To Bed. Now, I know from personal experience that this is easier said than done. It's hard to have a whole lot of things on your plate and still get adequate sleep. But if you don't get at least seven to eight hours of sleep each night, then you are going to worsen your stress in the workplace. When you are sleep deprived, you tend to be more irritable, more anxious, more likely to be depressed, and less productive. So, try to plan to go to sleep at the same time each night and practice good sleep hygiene. Now, what do I mean by sleep hygiene? I mean that the bedroom should be reserved for bedroom activities only. When you're trying to go to sleep, you should turn off the TV, turn off the laptops, turn off the smartphone screens. You should not be reading in the bed, on your computer in the bed, doing work in the bed or doing chores in the bed. The room should be dark. The room should be silent. You should condition yourself that when you walk into that bedroom, it is a place for rest and tranquility. Getting proper sleep can help to manage your workplace stress. Now, this is a hard one, but guess what? The old cliché, nobody's perfect, is absolutely true. A lot of times in the workplace, if you set a goal and you don't reach it, you beat yourself up. If you have your things-to-do list, you don't get through it, you beat yourself up. If your manager is not perfectly pleased with you, you beat yourself up. Then what happens? You re-live whatever you did wrong over and over again. You stress yourself out. You make those cortisol and stress hormones surge, and there you have it, workplace stress. So, avoid trying to be a perfectionist. Don't dwell on the negative. Do the best you can do, and for those things that you cannot control, let them go. Again, easier said than done. Trust me, I know. But if you want to manage that workplace stress, and if you want to have the best health and best productivity, you'll do it. You're not perfect. No one is perfect. At the end of each work-day, I want you to review the whole day in your mind and go over everything that went well. I want you to go over all the positives. Too often we tend to dwell on the negatives in the workplace, on whatever someone said wrong to us, or whatever we felt that we did wrong. But you'll be surprised that if you sit down and literally make yourself focus on what went well, it will decrease your workplace stress. Focus on the positives. 7. Learn How To Tell People No. A lot of times at work, we put high pressure on ourselves. Our managers put high pressure on us. And we want to be impressive. We want to be perfect, and so we run around and we say, "Yes, yes, yes, yes, yes." And sometimes we set unrealistic expectations for ourselves, and we set ourselves up for failure, and therefore stress. So, you have to learn how to take on what you can take on, but then learn how to diplomatically tell people no. If you need help, you can get my shirt. My doctor told me to tell you no. It's important for you not to stress. It's important for your health. Learn how to say no sometimes. So there you have it, seven strategies for managing stress in the workplace. If you experience stress in the workplace, I want you to comment down below. Let me know the type of stress that you experience and let me know if you have found ways to effectively manage your stress. I want you to share. Let's have a discussion. Take care of you, and do your best to live your healthiest, happiest life.